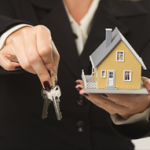 Selling properties using a lease option is getting popular again. This a great exit strategy, and is very effective when used correctly with the RIGHT client. As with anything else, there are people who will abuse the strategy to take advantage of people who will never qualify to actually buy. Don’be be one of those people. Personally, I’ve sold several properties on Lease Option. In every case but one, the buyer executed the option and bought the property. Several people I know have done a lot a lease options with varying degrees of success. Here’s what we have found. 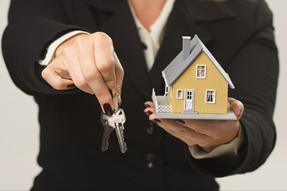 There are two keys to making it work; the property must be priced right, and your must qualify the right buyer. The deal must be fairly priced for the monthly payment, and the option price must be priced right for the purchase. If the deal is structured poorly, or it is financially unreasonable, it likely won’t go through. You shouldn’t set up a deal like that in the first place. Just based on price ranges and without thoroughly qualifying the buyer, here is the trend we see. Low priced houses are least likely to get to the sale. High priced houses usually complete; if not, often it is by the buyers choice, not ability. Someone who has never had good credit to buy a home, or never been a homeowner isn’t likely to finish. If they’ve been a tenant for years, they are likely to remain a tenant. Occasionally some will complete. Someone who has had good credit in the past, and especially, was a previous homeowner, will very likely succeed, no matter what price range the house is in. Your buyer must already be on the path to buying a home. This one element is your key to success. Yes, you can beg, cajole, push, and otherwise push some people to do the needed steps, but very few of these will finish. You want someone who is already taking the action needed, not just claiming they want to. Of the people my friends and I have had succeed, many were people recovering from a temporary setback. (Divorce; Bankruptcy from business failure; previous loss of income with new income now, etc). Some could have bought then, but were waiting for personal reasons. A large majority were previous homeowners. Most importantly, almost all were already on the right path. They just needed the time to get there. There you go, two items for a successful Lease Option. Approve a buyer who is already on the right path to qualifying.